The third day of the waxing phase of the moon in the month of Vaishaka or Vaishaka Sukla Paksha Tritiya is celebrated as Akshaya Tritiya. Akshaya Tritiya is celebrated on Saturday, 22nd April 2023. The meaning of Akshaya is A + Kshaya which means never ending or infinite. 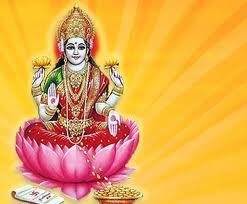 If a Akshaya Tiritya comes along with Rohini Nakshatra and Wednesday it is considered to be highly auspicious. It is believed that whatever Jap,Tap,Daan etc done on this day would return infinte or Akshaya Punya. It is believed that if Gold is bought on this day would never end and will keep growing keeping the house with wealth and prosperity. Hence lot of people throng jeweler shops to purchase Gold.It is believed that Treta Yuga started on Akshaya Tritiya day. It is believed that any work started on this day would be successful.